Uglyworld #621 - Lap Of Honour, originally uploaded by www.bazpics.com. 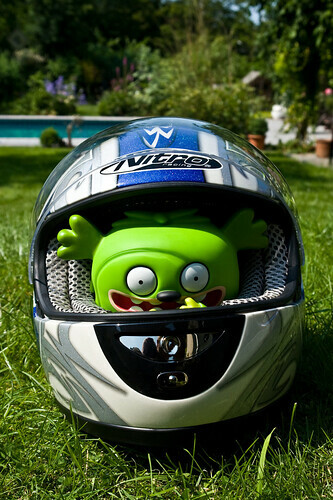 Just as Wage and Ox come inside to take their place on the couch for the England V Germany game, Choco is off out into the garden (complete with his racing helmet) to do a lap of honour after his hero Sebastian Vettel won the European Grand Prix in Valencia, Spain. Secretly he hopes it's the only thing Germany wins today, but he doesn't want Wage to know this...!! !